The owners of this property in Caringbah, Sutherland Shire was to redesign and landscape the front garden by removing everything and starting again. 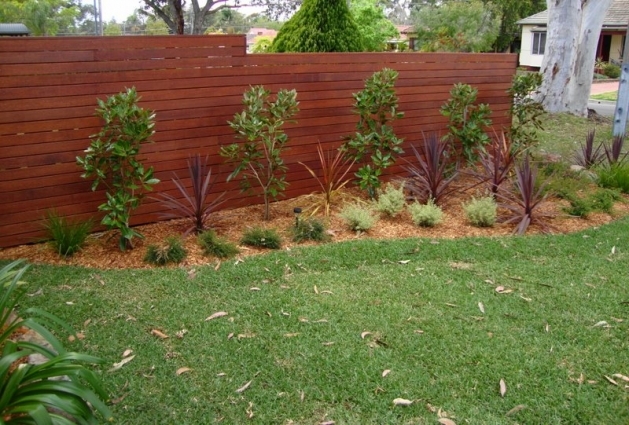 The owners wanted defined spaces for their garden beds, which incorporated both metal and bush rock edges. A hardwood timber screen was designed and installed by Garden Crew to not only hide an old and dated fence, but also to create a stunning backdrop to the five magnolias. The turf was also removed and relaid using Sir Walter soft leaf buffalo. Fully Qualified, Licenced and Insured for your peace of mind.